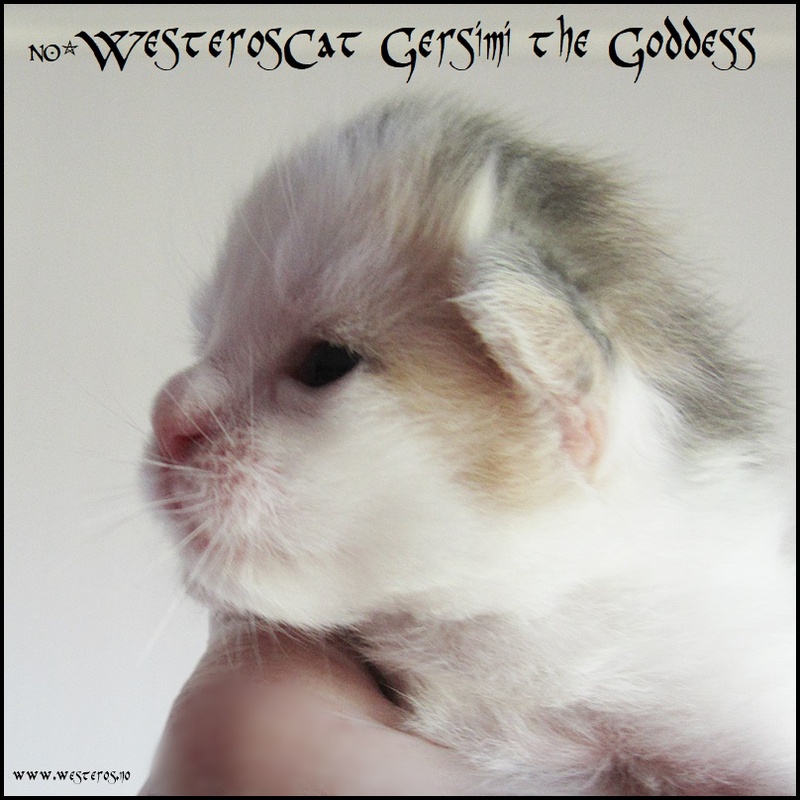 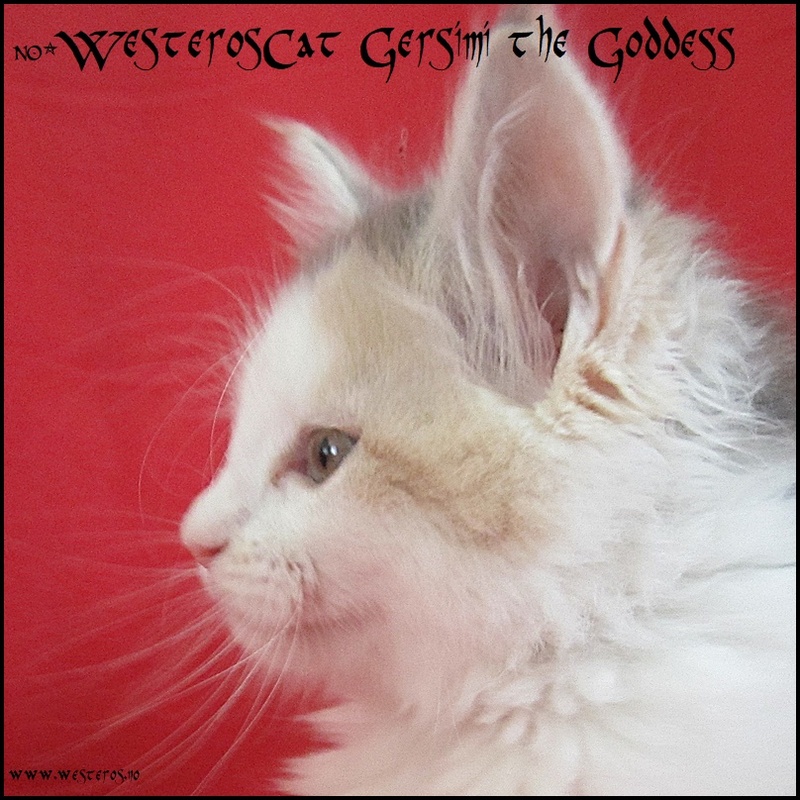 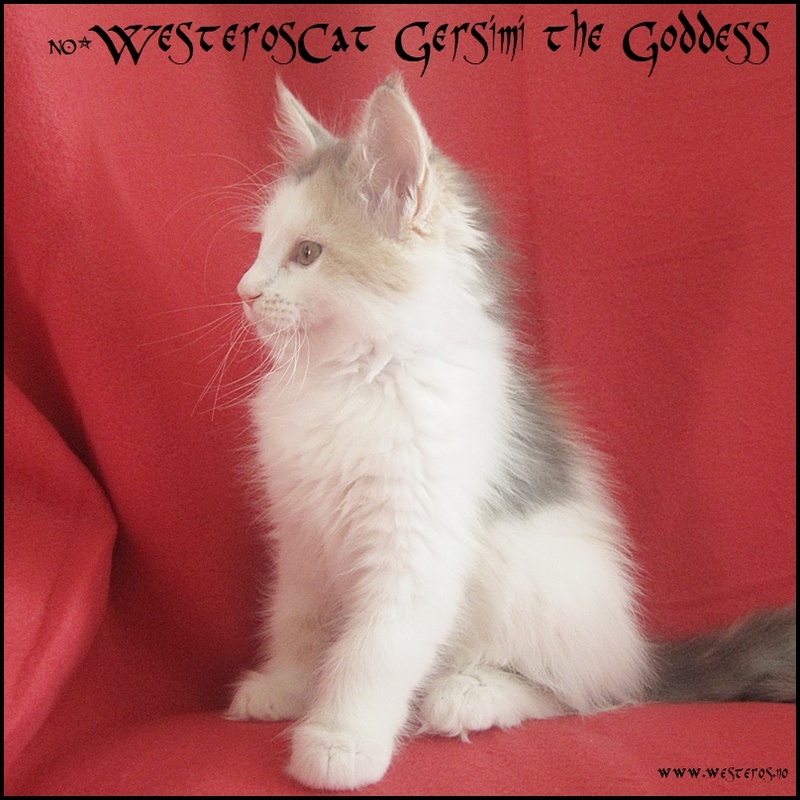 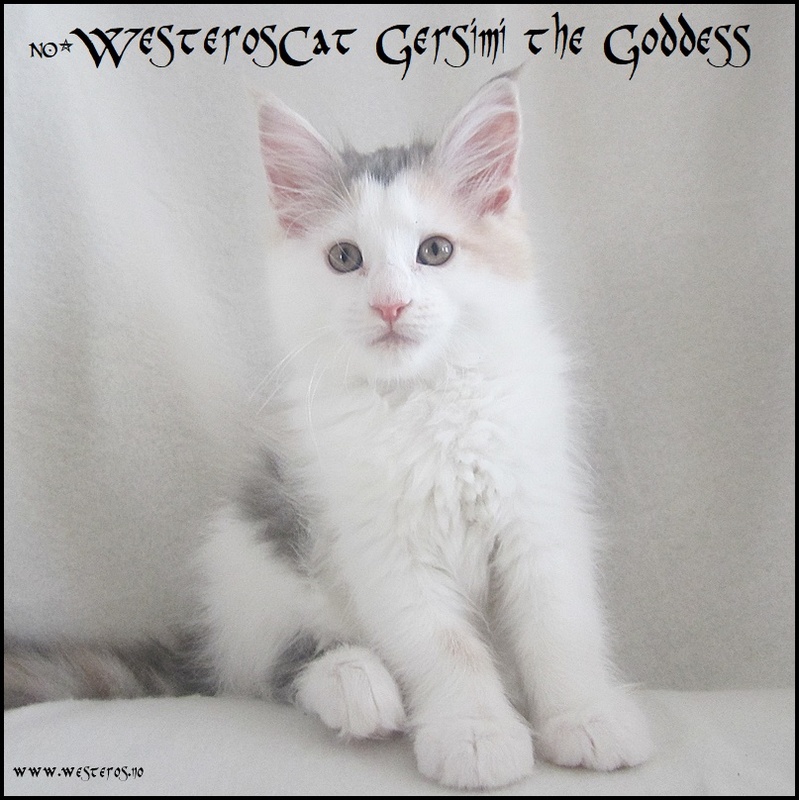 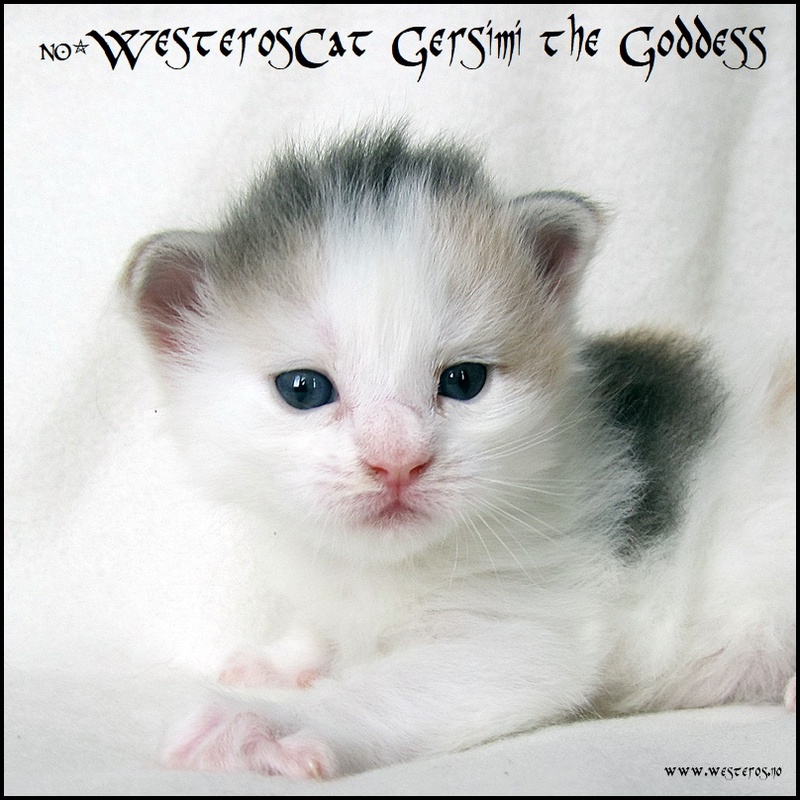 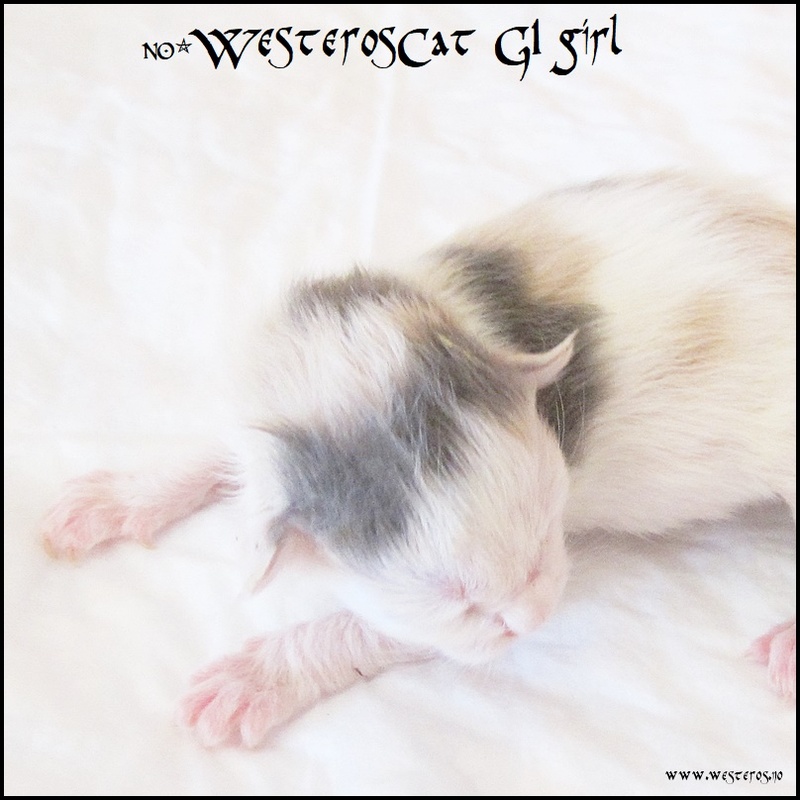 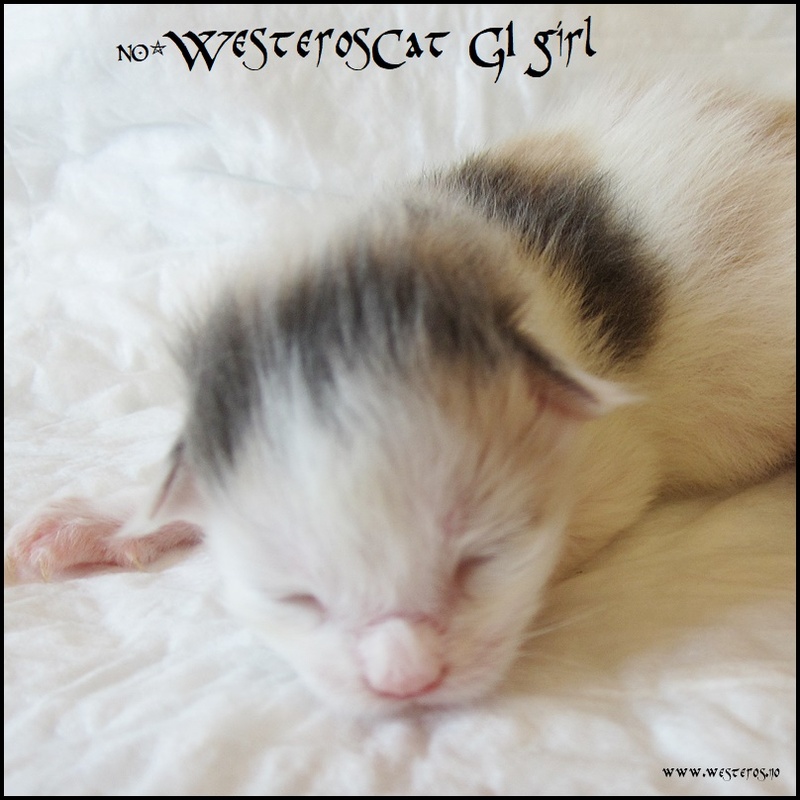 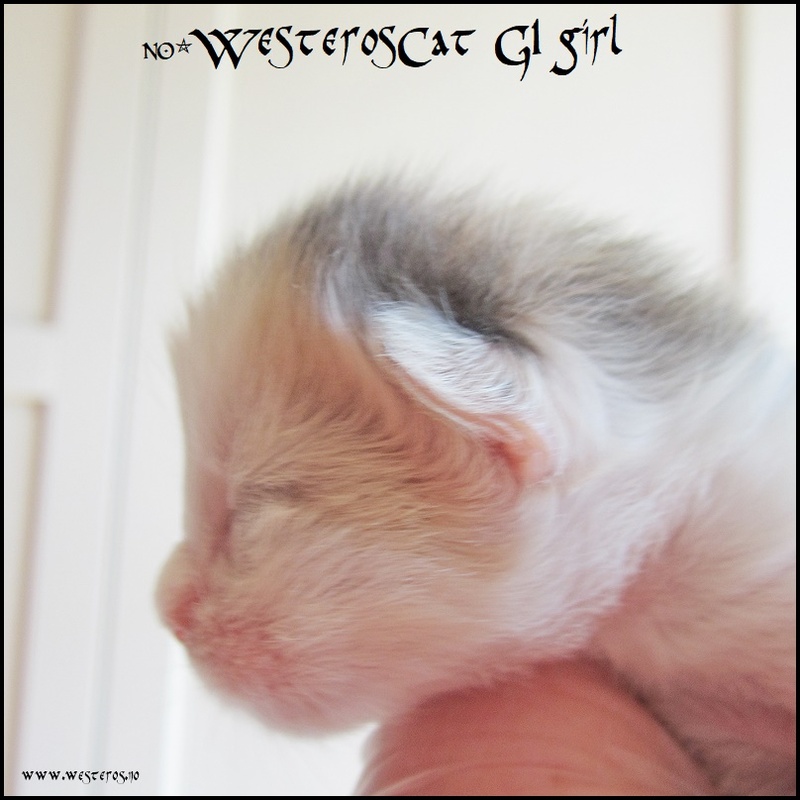 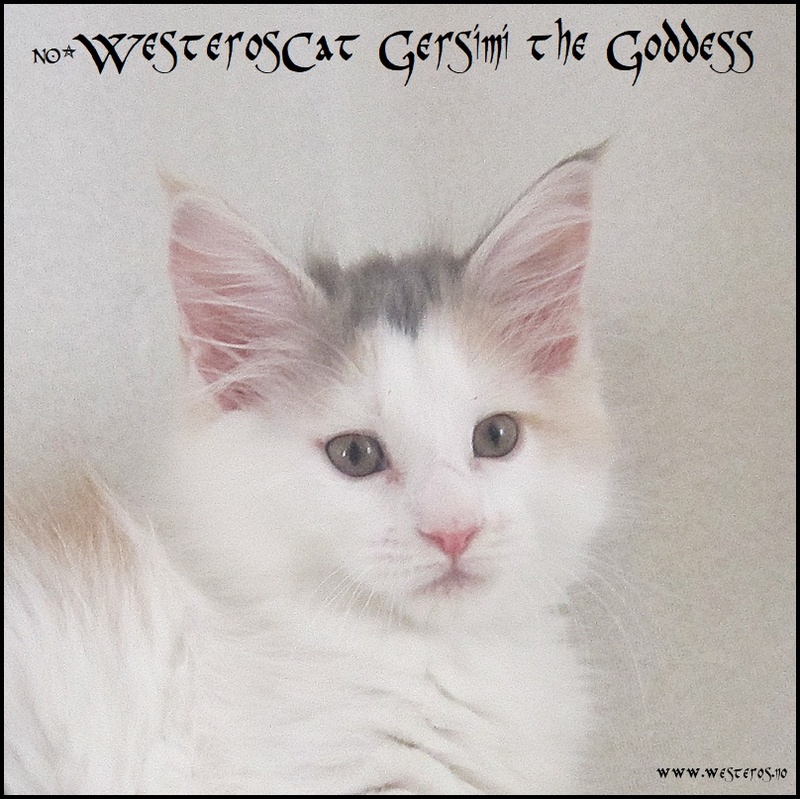 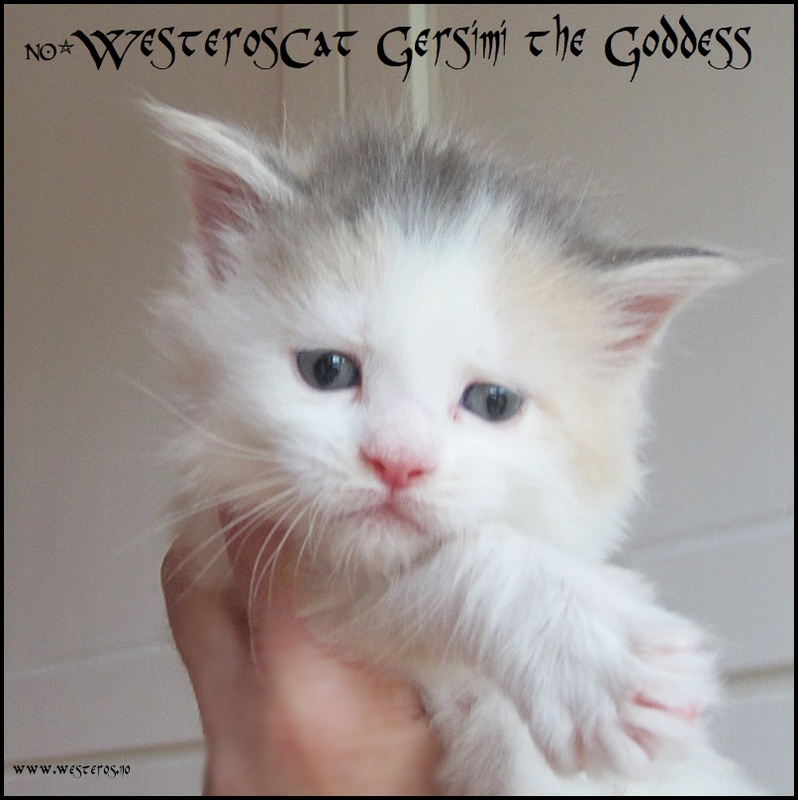 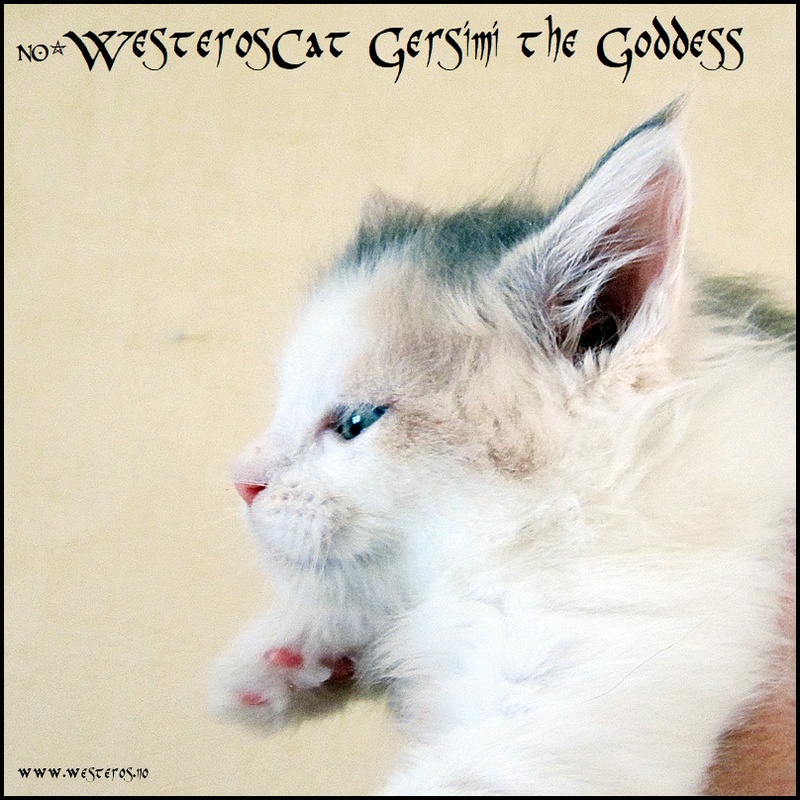 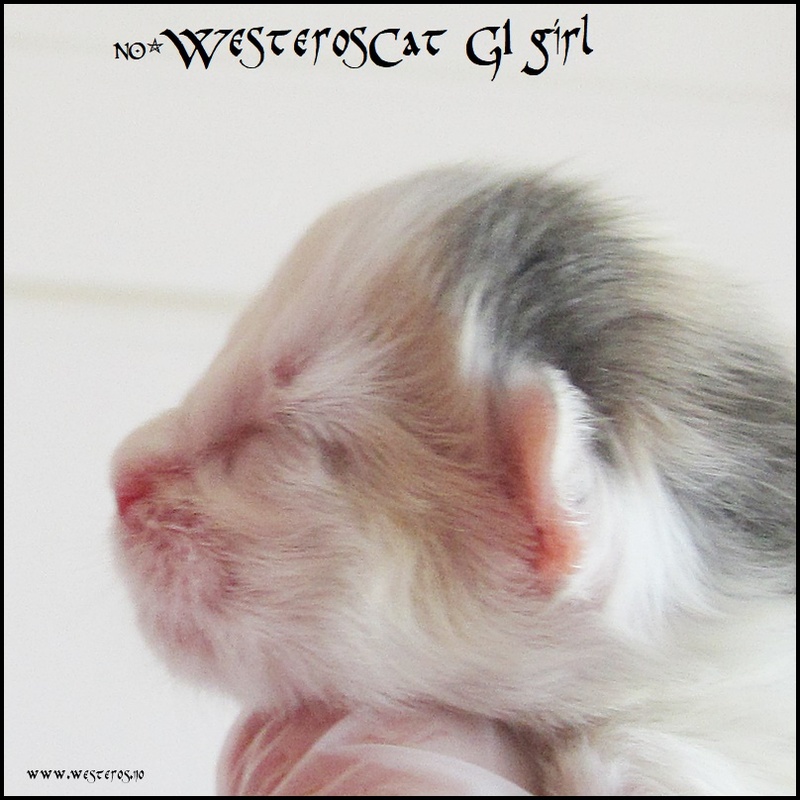 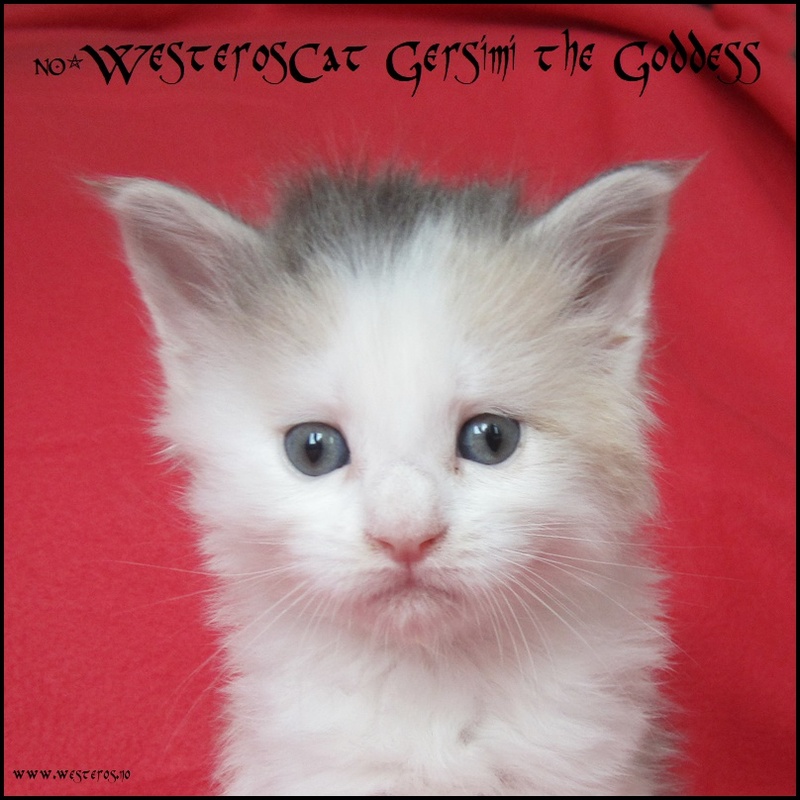 Gersimi, the firstborn kitten in the G-litter is our first highwhite cat, a cute blue-cream tabby harlequin girl. 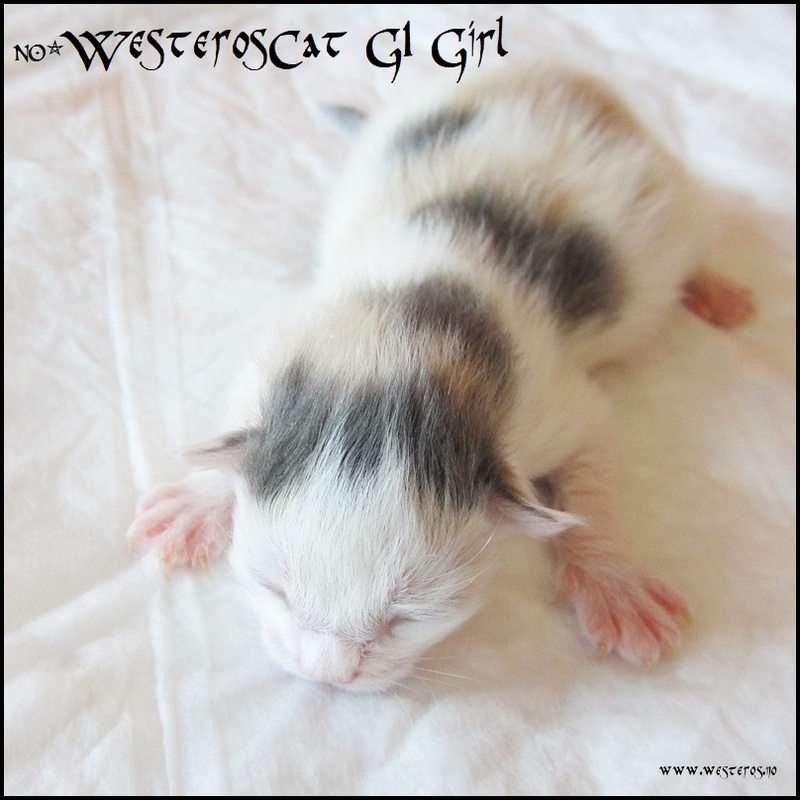 It seems she is mackerel tabby genetically. 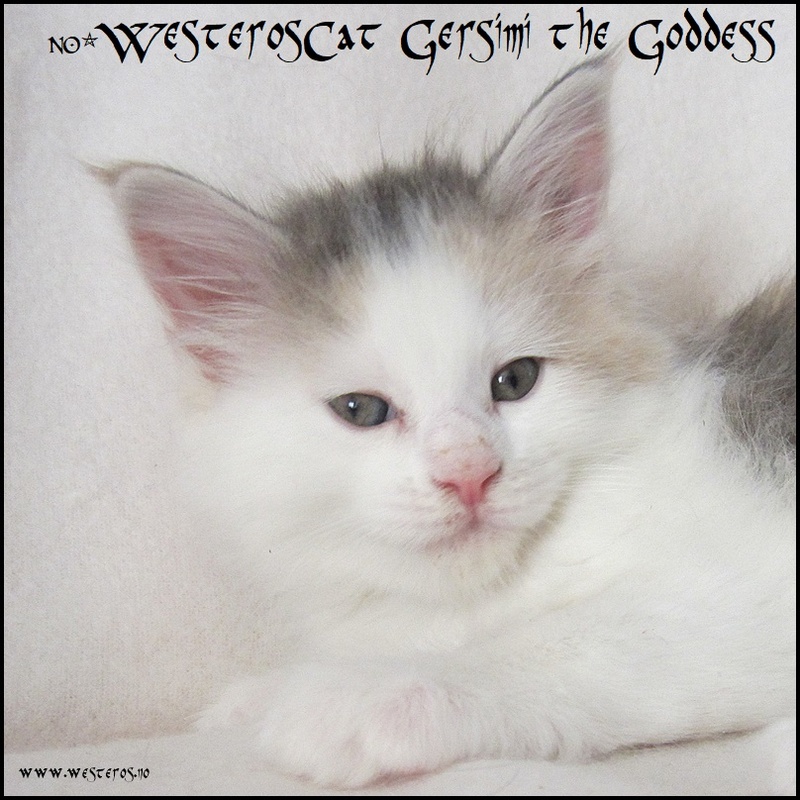 As highwhite she is also registered with EMS code for eye colour, and since both parents have amber/yellow eyes, code 62. 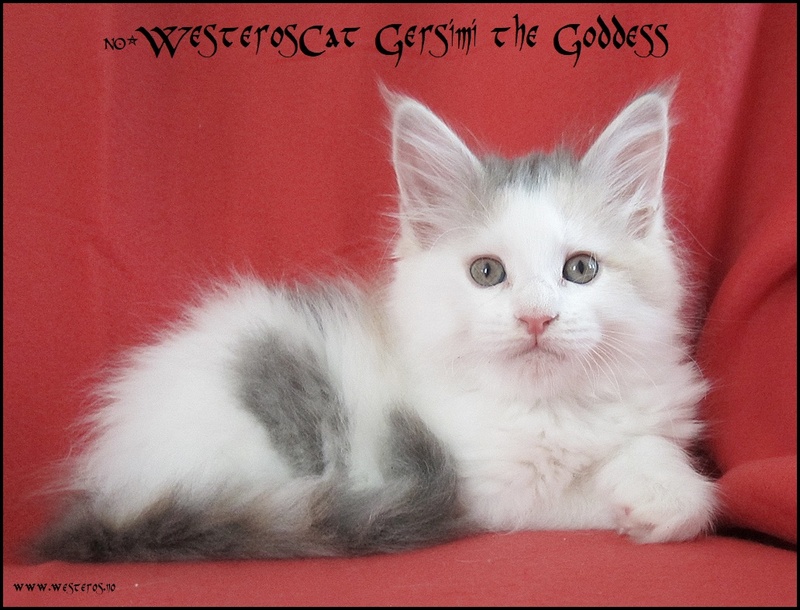 She has a strong body and sweet face. 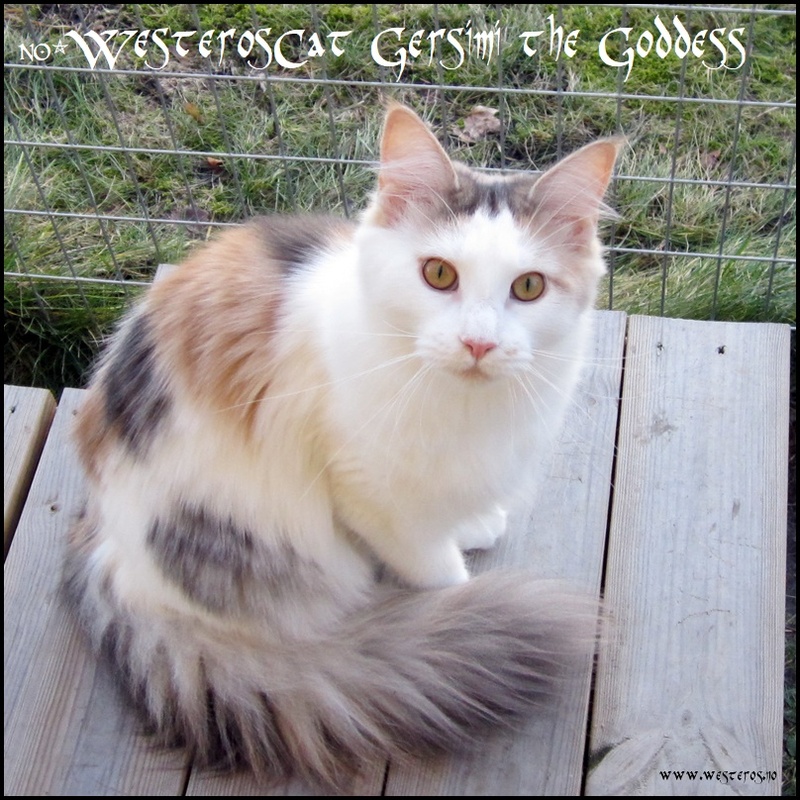 Williams og Neris’ førstefødte er også vår første harlekin, høygradig hvit. 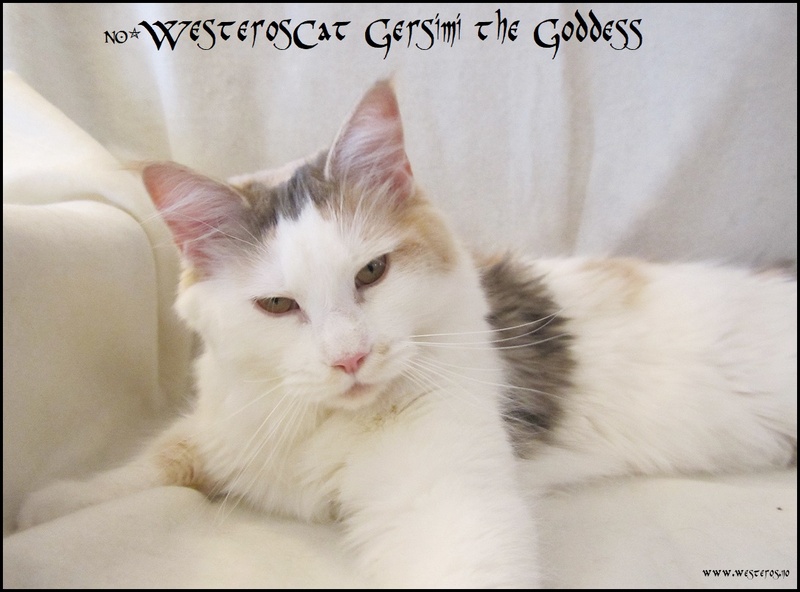 Skjønne “Shimi” som vi kaller henne blir i oppdrettet. 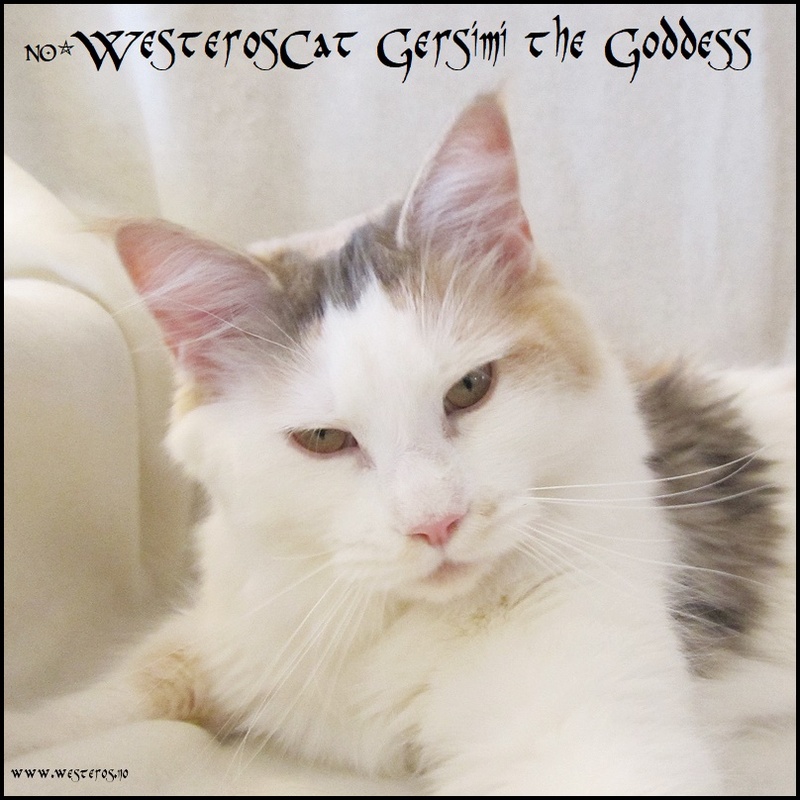 Gersimi (Gersemi) is a Norse goddess, Freyja’s daughter. 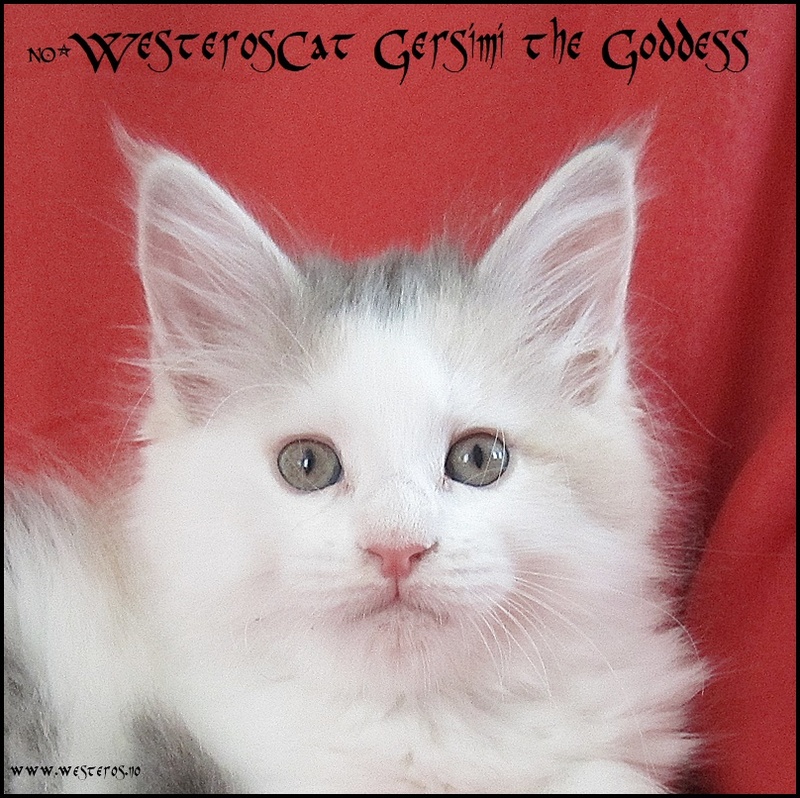 In Modern Norwegian the name is pronounced Gjerseme. 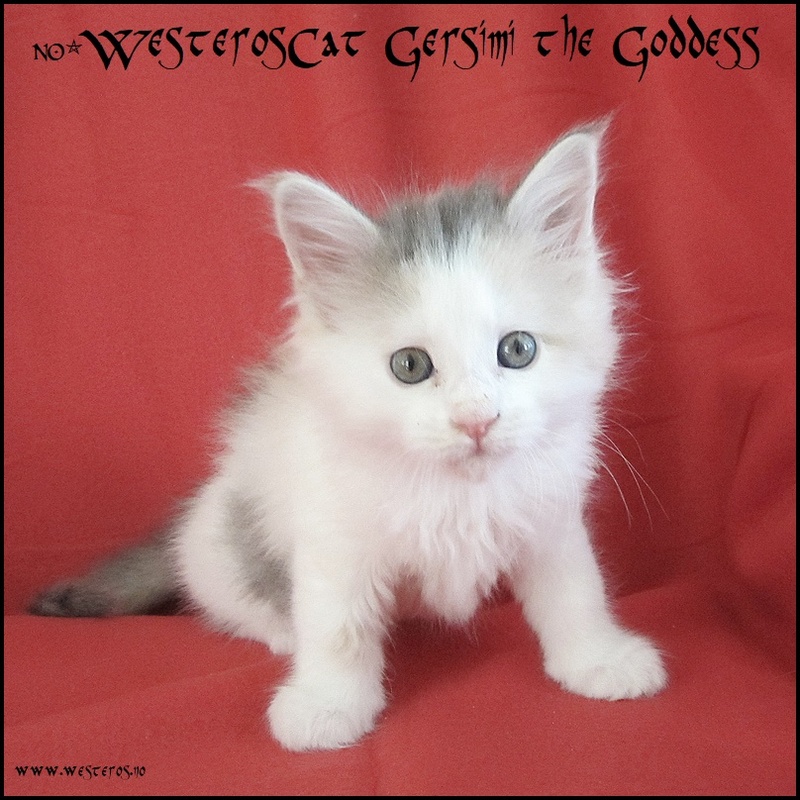 She was fair and so beautiful that everything costly was named after her. 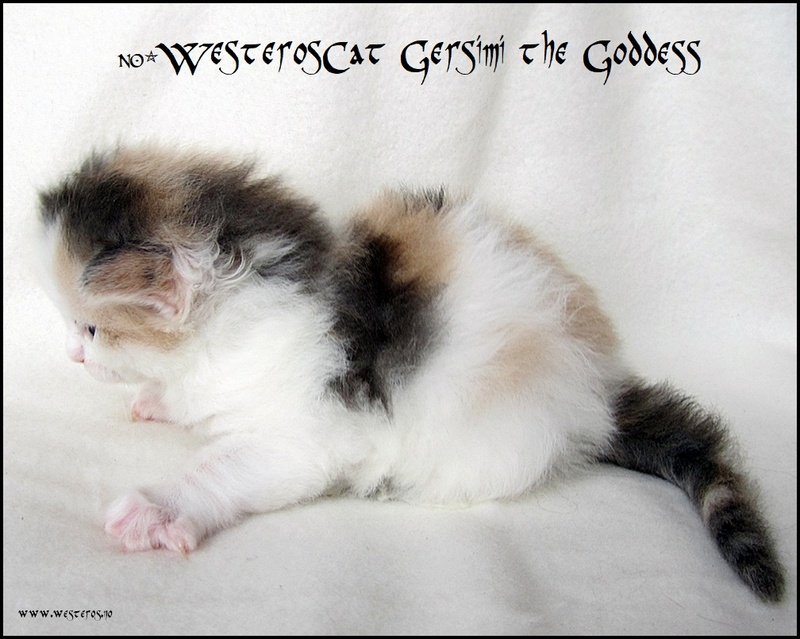 Her closest parallel in A Song of Ice and Fire is the Maiden, of the Seven. 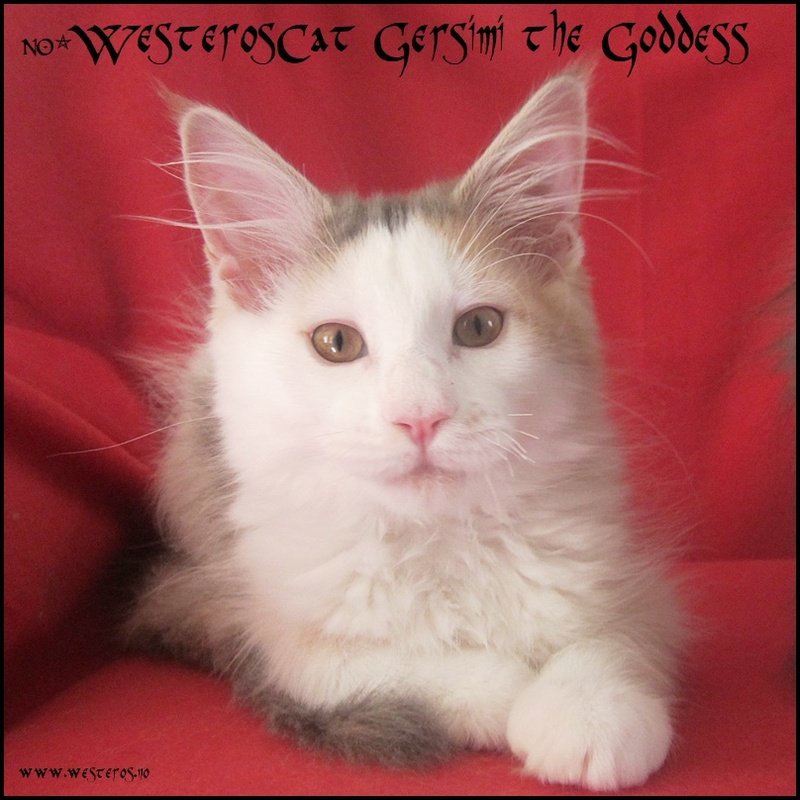 The name means treasure, gemstone, jewel. 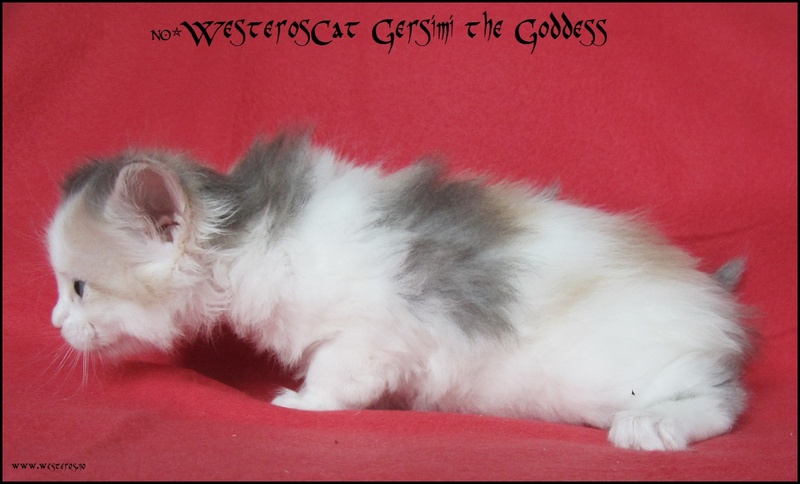 Gersimi is under evaluation for breeding and will be shown occasionally to follow her development. 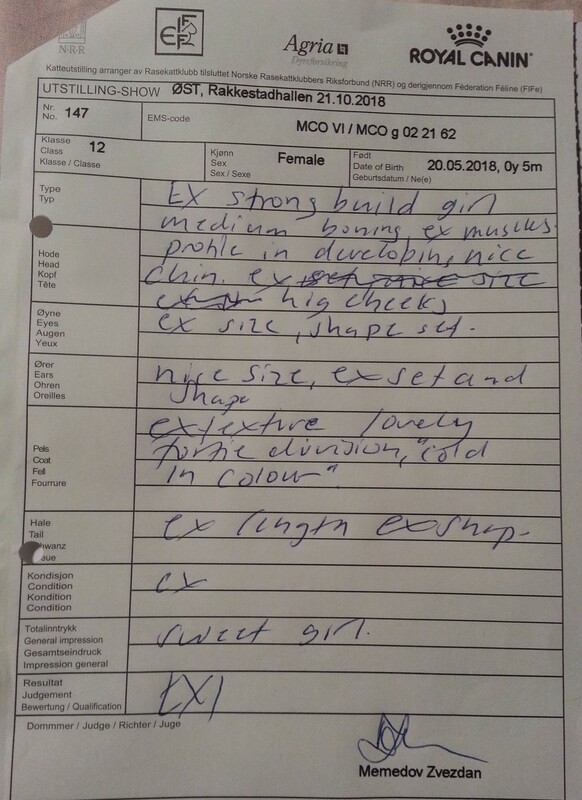 20 Oct 2018 Østfoldkatten Rakkestad 12 Marteinn Tausen EX1 “Ex size and length, ex body proportions.” EX 1 before her sister Gilly.